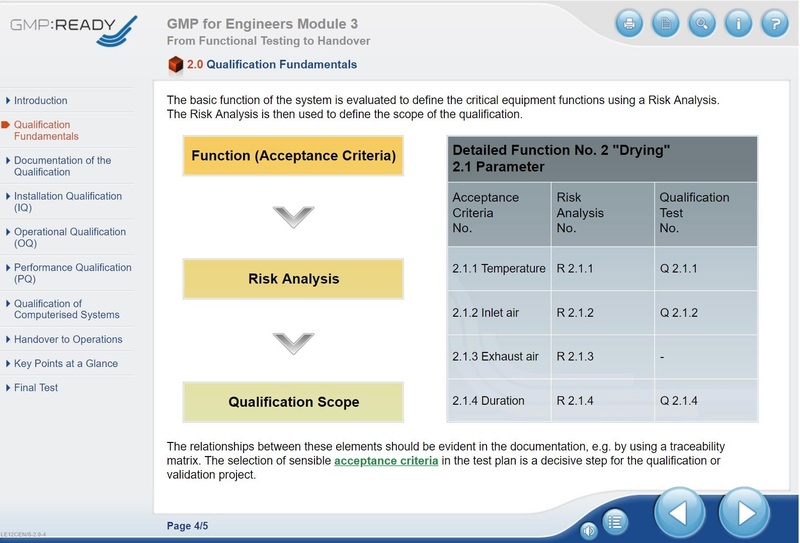 Do you know the individual phases of equipment or facility qualification? 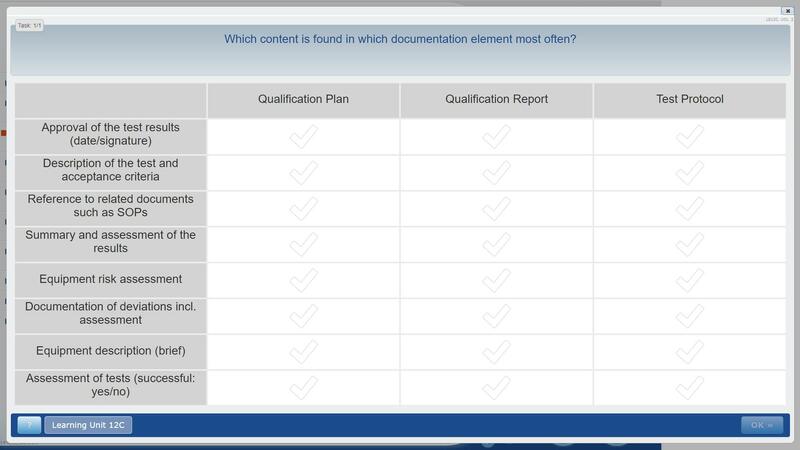 Do you know what the documentation must look like? 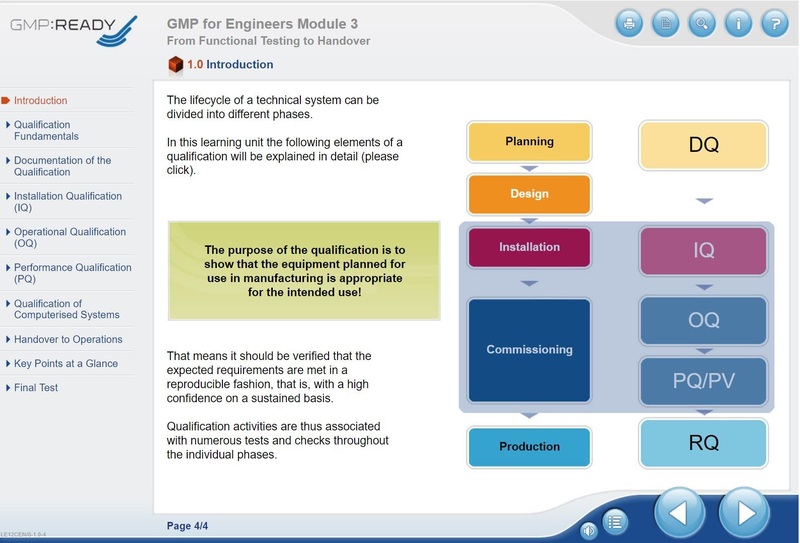 In this e-learning course you will learn important information about the individual phases of the qualification of a system. This includes computer validation, how tests and documentation must be designed and what has to be considered when handing over the system to the operator. 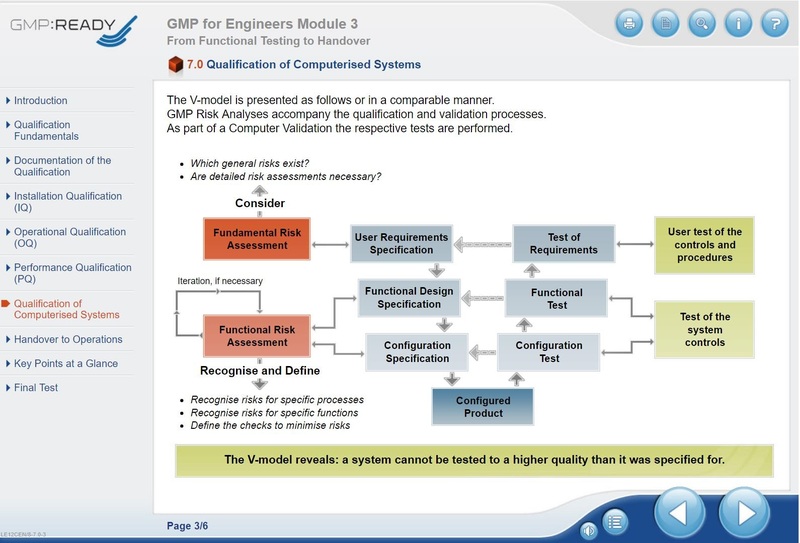 In this e-learning course you will learn important information about the individual phases of the qualification of a system including computer validation, how tests and documentation must be designed and what has to be considered when handing over the system to the operator. With the help of the qualification for equipment and facilities it should be demonstrated that the systems used are suitable for the planned purpose. Qualification activities are therefore always associated with many tests in the individual phases. This includes computer validation, how tests and documentation must be designed and what has to be considered when handing over the system to the operator.